Today we are happy to present new disassembly application “Starship Disassembly“. Application was created in cooperation with our friends – “Digitilus LLC” game developer. 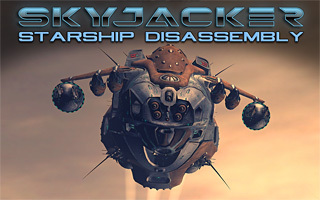 Application contains one free 3D model of “YTG Cruiser III” – starship from the upcoming “Skyjacker” space shooter game. “Starship Disassembly” supports all standart features like demo and game mode, local and global high-scores, etc. Additional features — original deep space environment, music and sounds from the “Skyjacker” project. PC version is available to download, iOS and Android versions coming soon. This entry was posted in News and tagged cruiser, disassembly, download, free, starship. Bookmark the permalink.